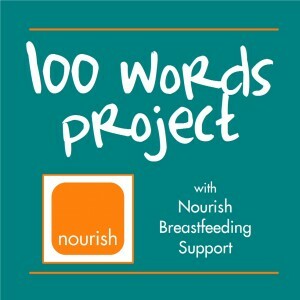 In celebration of World Breastfeeding Week and National Breastfeeding Month, I’m sharing from our 100 Words Project every day. I was told to wean after 4 weeks of nursing with a perfect latch due a staph infection. Completely ignoring my pediatrician, I sought the advice ofwomen – breastfeeding experts, mothers, my nursing sisters. I knew in my gut what was right for my baby. My son has never had anything other than mama’s milk and I have loved every moment of this journey as we continue with no end in sight. Milk breath, giggles, comforting num nums. Nursing my baby has changed how I view my body and is a constant reminder to slow down and enjoy this moment. Stories can be submitted for publication to this blog by emailing them to me at amber@ambermccann.com. Please keep them to 100 words or less. Before publication, stories will be edited only for minor spelling/grammatical errors. If the stories will be published in any other medium or venue, other than this blog, your permission will be obtained. Feel free to widely share this post and encourage others to also submit their stories.